The International Arctic Forum 2019 took place on 9–10 April 2019. The key theme of the Forum in 2019 was ‘The Arctic: An Ocean of Opportunity’. 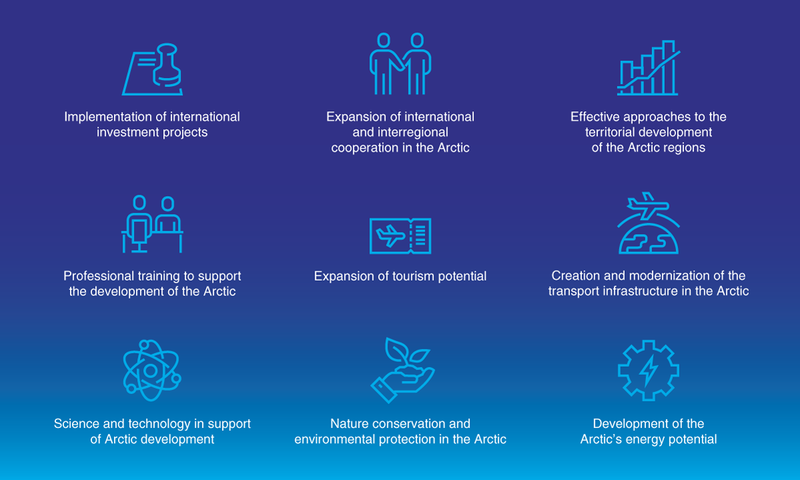 Countries which delegations participate in the Forum in 2019.
identifying solutions, and consolidating the efforts of the scientific community, business, government, and civil society, with the aim of developing the Arctic carefully and responsibly. More information is available in the Exhibition section. Should you have any questions regarding participation in the International Arctic Forum, or require additional information about partner packages and opportunities for taking part in the Forum’s events, please contact the Roscongress Foundation.